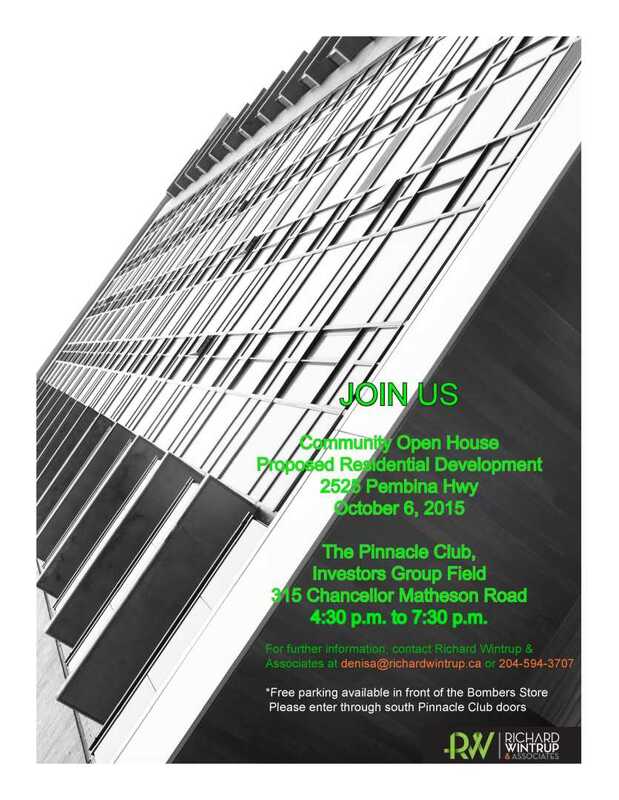 Please mark your calendar to attend an open house to discuss a proposed student housing complex at the corner of Pembina Highway and Bison Drive. 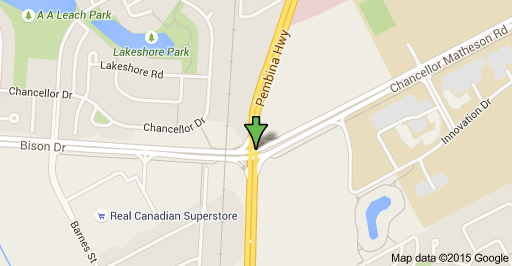 The event, hosted by Rise Real Estate, will be held at the Pinnacle Club (located at Investors Group Field) on Tuesday, October 6, 2015, from 4:30 to 7:30 p.m.
Ontario based developer Rise Real Estate has purchased the land where a Dairy Queen sits at the corner of Pembina Highway and Bison Drive, right across from campus. Vice President of Business Development, Brian McMullan, says the idea is to build a 14 storey student housing complex. McMullan believes his planned complex would go a long way towards easing concerns of people in the neighbourhood but it still needs to be approved by city hall. He says the purchase of the Dairy Queen land has gone through, it’s just a matter of getting approvals and permits. McMullan’s team will be making their pitch at city hall this fall with the goal of getting approvals by early 2016. He says they would then start construction with a goal of being finished in 18 months. The Developer’s open house is an opportunity to become involved and gain an understanding of the proposed Student Housing Complex. I will be in attendance, and look forward to seeing you!